It seemed a little warm during last week’s race at Las Vegas. But to Kurt Busch, a native of Las Vegas, it was not hot enough. Perhaps that’s why his No. 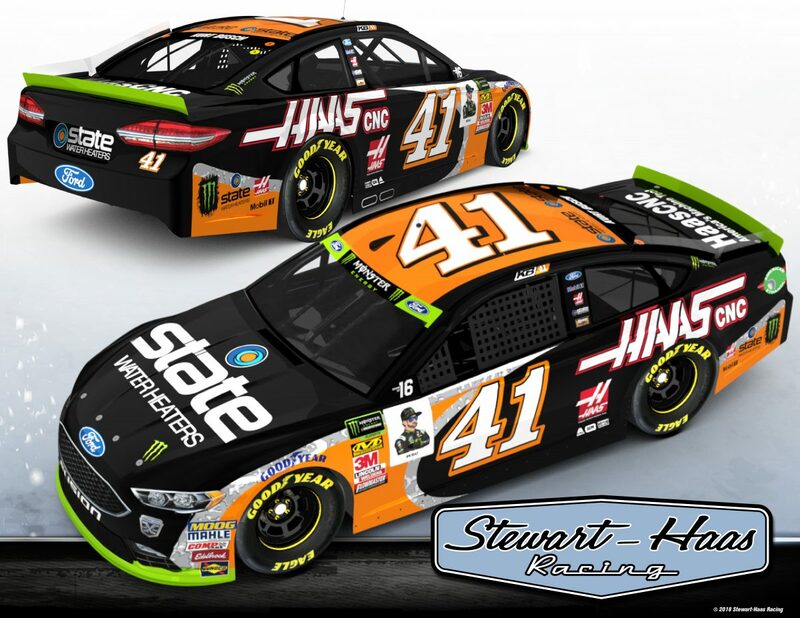 41 Ford for Saturday night’s Federated Auto Parts 400 Monster Energy NASCAR Cup Series race at Richmond Raceway is sponsored by State Water Heaters and Haas Automation. In 1946, State Water Heaters was founded by Herbert Lindahl as a small entrepreneurial company producing coal- and wood-burning stoves in a garage in Nashville, Tennessee. In the years that followed, State expanded and became a leader in the water-heating industry through steadfast commitments to seeking new materials, new technology and innovative engineering techniques. Busch is hoping that State Water Heaters can bring him more heat – and some luck – as week two of the 10-week NASCAR Cup Series playoffs are taking place. The No. 41 team is in sixth place, 24 points to the good with two races to go before the 16-driver playoff field gets cut to 12. Busch was running in the top-five for much of Sunday’s Las Vegas race, but a late accident not of his making placed him in 21st. He would very much like to pad his lead over 13th place before next week’s Round of 16 finale on the new “roval” at Charlotte (N.C.) Motor Speedway. In 35 NASCAR Cup Series starts at Richmond, Busch owns a pair of victories, the in September 2005, when he started fifth and led 185 laps en route to the win, and the second in April 2015 driving a Stewart-Haas Racing (SHR)-prepared racecar. He dominated the latter event, leading six times for a race-high 291 laps and holding off teammate Kevin Harvick to score his first win 2015. In addition to his success in NASCAR’s top series, Busch also won in the NASCAR Xfinity Series at Richmond in April 2012. Busch is hoping to take the No. 41 State Water Heaters/Haas Automation/Monster Energy Ford Fusion for SHR to victory lane for a third time at Richmond in the Cup Series. And he would be “warmly” greeted in victory lane. How important is Richmond with the uncertainly of the new “roval” next week at Charlotte? Talk about the upgrades to Richmond Raceway. Your thoughts about the track since you starting running there in 2002? What is the hardest thing to figure out at Richmond?